Sparkling wine has long carried the image of being exclusively for holiday celebrations. It’s part of the tradition and a great way to add to the intensity of these festivities. Spring and summer are a great time to socialize. Being able to barbecue and entertain outside makes things easier. 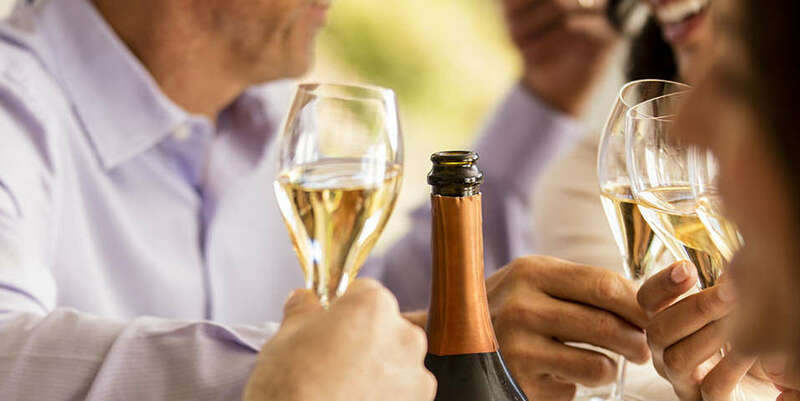 Sparkling wines offer wonderful characteristics that make them suitable for all seasons. After all life is a celebration. The absence of sparkling wines is one of the most classic wine cellar flaws we see. Think of it as an investment: diversification is key to building a perfect wine cellar. Add some sparkling wine for short term drinking: Brut Rosé, Blanc de Blancs and Blanc de Noirs. Start an aging program. Blanc de Blancs in both 750 ml and magnums are perfect for this. If you enjoy the nutty/yeasty character of sparkling wine, add some Blanc de Noirs as well. These two wines, can age for 20 years of more and reward you with a lot of drinking pleasure. Start a vertical collection (consecutive vintages) of our signature wines: J. Schram and Reserve. These wines are spectacular after 10 years of cellaring and continue to get better. We will be glad to have them for special anniversaries and celebrations. Have a few large formats on hand for parties of six and up. Magnums, 3 liter bottles and 9 liter bottles really set the tone of a party. Stock up on the children’s birth years and anniversary years. Sparkling wine is protected by its acidity and CO2, so it typically ages a lot more gracefully that people expect. We get many phone calls from brides-to-be seeking wine advice for their special day. Whenever a toast or cake cutting is mentioned, we recommend our Crémant Demi-sec. Couples might shy away from a sweet wine but there is a reason for the specific food pairing. Sugar, nullifies sugar and a wine with a delicate sweetness will taste dry when “married” with a sweeter fare. A dry wine served with something sweet will taste angular, thin and overly lemony. This combination will also make a cake taste too sweet and unappealing. While taste testing your wedding cake flavors, have a bottle on hand for comparison, this will help you narrow down the flavor profile you are looking for. How much sparkling wine do you need for a wedding? If you plan on serving sparkling wine for your toast we recommend having 6-12 bottles per 100 people in attendance. Some of your guests will already have a beverage in hand to use and others will be thrilled to have a glass of bubbly! Regardless of what they’re drinking, they’ll be happy to toast to your future together.